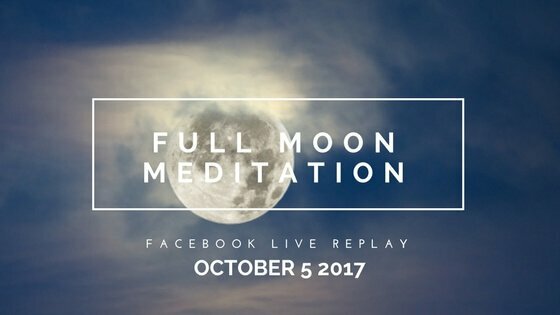 We gathered together live on Facebook Thursday evening under the glow of the first full moon of fall, October’s Full Harvest Moon, for a virtual Womb Blessing circle to receive the energies from Miranda Gray’s Worldwide Womb Blessing. Our circle was part of over 160,000 women worldwide who came together to receive this special healing transmission from Miranda. Did you miss it? Thankfully, the full moon energy stays potent for three days after the official full moon, so you still have time to take advantage of its power and carve out space for meditation. If you weren’t able to tune in live with us on Facebook, you’ll find the replay video below. And don’t worry if you didn’t get a chance to register to add your name to Miranda’s list before the transmission — you’ll still benefit from the powerful collective energy of our circle and the meditations. Harness the light of this Harvest Moon to ask, What sacred feminine wisdom already exists inside my womb, just waiting for me to harvest it?